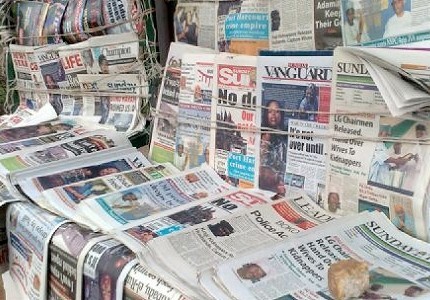 The Nigeria media houses have lost its power as an information institution and the mouth piece of the people but have become a tool in the hand of the Federal Government. They are always biased and only report what their boss want them to convey to the masses and no more the actual fact. This is Heart melting! Some months back after the arrest of Mazi Nnamdi Kanu, the Nigeria brown envelope media houses reported that some group of people have defected out of IPOB and that they are called TRIPOB and are denouncing IPOB leader and his modus operandi in Biafra restoration. Also that the said group are going to burn up Biafra flags at Abuja the Nigeria (zoo) capital. Later on, it became evident that, it was a plan to destabilise IPOB strength and achievements in the ongoing quest for restoration of Biafra nation. We applaud the gallant efforts of all our media platforms under the directives of Radio Biafra London (RBL) who were able to counteract all propagated false information. Any time IPOB have a protest or rally the Nigerian Army will massacre and injure them in their numbers but instead of the media to report this inhumane act, they will tag IPOB protesters as jobless and violent youths. Instead of exposing the evil acts of the government for the whole world to see, they will be justifying their demonic acts. That is very disgraceful aspect of journalism. These are to mention but a few of their false reports. One may wonder if these media houses are practicing investigative or junk journalism. In the serial killings of innocent Christians by Hausa Vigilante Boko Haram in northern Nigerian, the media houses in Nigeria were contradicting each other in their various reports. Did they really go to the crime scene to verify from victims and witnesses? Coming back to Biafra issues, the Nigeria media houses have already lost the battle because IPOB have produced formidable media warriors to counter their lies to the world. In terms of dishing out concrete information, IPOB has provided the platform for investigative journalism and fact finding journalists to destroy the lies of Nigeria brown envelop Yoruba gutter media outlets. We remain grateful to FAMILY WRITERS and other Biafra media groups.